Every once in a while I get to buy a single I've been searching for - I mean, actively searching for - for many years. Earlier this week I finally had this beauty in my mailbox. It's the, frankly, rather bizarre Norwegian entry for the 1980 Eurovision Song Contest. 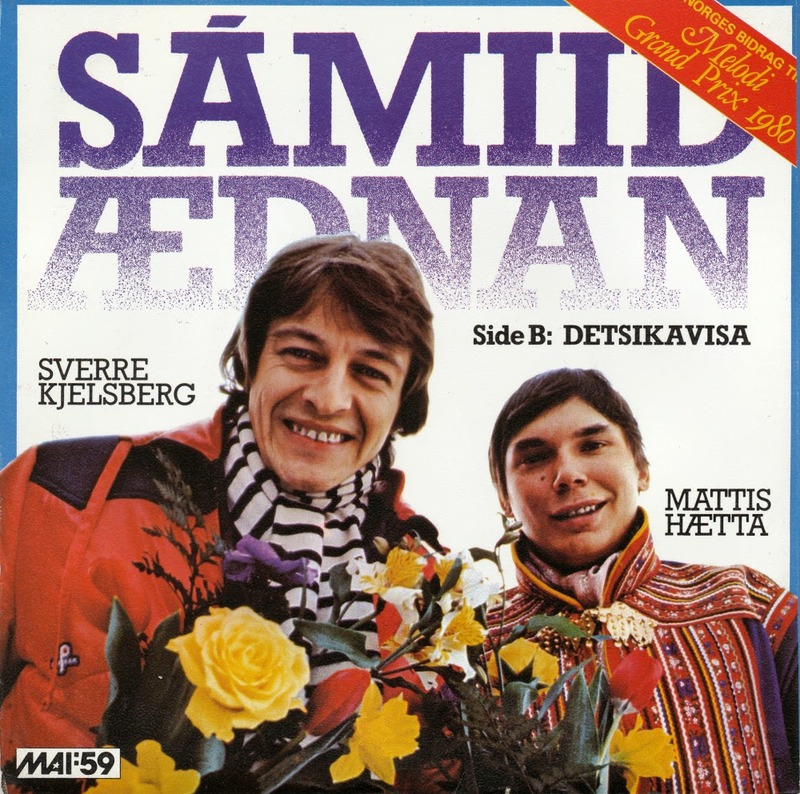 Entitled 'Sámiid Aednan', the song was inspired by the autonomy movement among the Sami people of northern Norway. The line "framførr tinget der dem satt, hørtes joiken dag og natt" (in front of the parliament where they sat, the yoik was heard day and night), refers to a hunger strike in front of the Norwegian parliament building. It is quite remarkable that such a politically-laden song made it into the contest, but even more remarkable is the song itself: after a rather traditional start, the song suddenly breaks off at 1'25 with Mattis Hætta contributing his yoik - a Sami form of vocal music without words. The song finished 16th in a field of 19 contestants.